Christopher is a delight to work with! Everything was very easy! I had 2 pods delivered right across from my unit and unloading was a breeze!! The 2 individuals there were amazing and had wonderful customer service attitudes! Very helpful and informative! Competitive prices for the area but forced to pay for their insurance the first month even though I have my own insurance and can prove it. Friendly service. Very helpful staff. Has been an excellent accommodation so far. Simple doing with auto pay. Decent service at a decent price. They do what they have said. Good enough to store my few things. So far so good. Tyler was accommodating, and the space was relatively clean. Price fair. Insurance thing a bit strange. 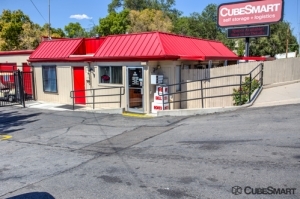 I was in need of a storage unit asap looked online and found cube smart I made a reservation for a 5 x 5 within the first 30 min I got a call to book a time to rent the unit the price was low and facility clean so of course I got it I definitely will be referring any and all my friend's to cube smart for there storage needs. i just moved and need space to store my extra stuff. i looked around for the best price as im in a fixed income. i chose cube smart because its close and cheapest. when i got there, they added an additional $12 EVERY MONTH for insurance. 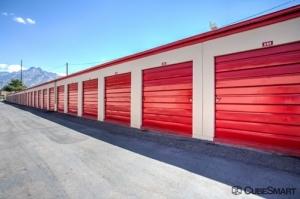 the clerk said its a state law (it is not required by law to have insurance on a storage unit) i called the mgr the next day, he said its company policy. no where on the website does ut say anything about insurance. after the price went up, its more than any other facility. i had to use them because it wasnt convenient to find a place at the time. but i plan to relocate as soon as i can. and when the clerk drove me to see the unit on a golf cart, he almost threw me out of it, driving too fast. and the puddles of rain water splashed all over me. he was very rude!! Courteous service, clean property, great value. I was delighted with the property's ease of access and the cleanliness of the unit. 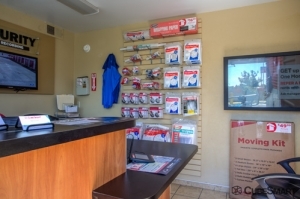 The onsite staff were helpful and made sure I understood their policies while making sure the unit and the facility overall would meet my expectations. The gate did not work the issue was resolved. I hope it does not happen again. Very friendly and affordable, I will definitely refer people. I haven't been using this storage unit for long but they have been very helpful to my needs. The price is a little more than I thought but I guess that is just what comes with it sometimes! They pulled my reservation up with no problems. Laid out the rules, which are reasonable and for security. Gave insurance options and made great small talk. Walked through and made sure unit was large enough! It's gated so super secure with tons of cameras! The doors on the storage needs to be better. Hard time to lock. Good Service. A bit Pricey but Utah is expensive... The staff is great and professional. I would recommend this facility to others. 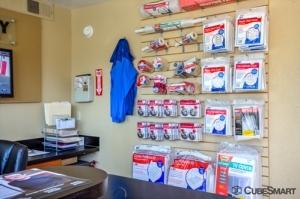 Clean, efficient and great location make for a safe bet. 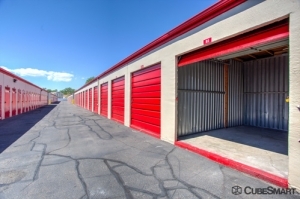 The clerk at the front office was incredibly helpful with getting me situated into a storage unit -- he took me around to make sure that the unit I had reserved was the size I wanted, and walked me through all the policies and procedures. The place didn't have the top notch security cameras like you'd find at Fort Knox or anything, but I felt confident enough leaving my belongs there. The location is maybe a mile from my apartment, and so the convenience was a huge factor. Easy to get to, friendly staff -- I would definitely rent here again. Overall it was as expected. I was disappointed to arrive and find that the person in the office was out and wouldn't be back for 45 minutes. The paperwork was a bit lengthy but again, as expected. I'm pleased that it's in a residential area because that seems more secure. 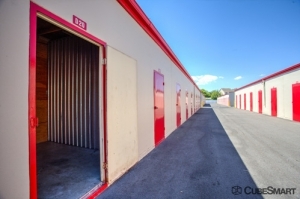 We found this facility through sparefoot.com. 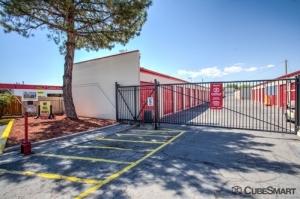 When we reserved the unit, they were offering an online discount of 15% off and first month free. When we called call center to reserve, we were informed we could use promotion price as well as 15% off student discount (total of 30% off normal price). When we were called to verify our reservation, the lady said we couldn't use both discounts. She then said she would contact her area manager (who is her husband) about doing both discounts. He as well said no. We felt unfairly treated and lied to. The managers were flexible on the move in and I generally like the facility. The ice on the roads and up to the door of the units is treacherous. I have slipped twice, one of the managers went down hard trying to help, my movers were in a dangerous situation. This has been a cold winter but the roads should have been cleared right after the storm, and sand and or salt put down. I don't even dare go there now to add more "stuff" or retrieve things until spring! If I had realized the situation, I probably would have gone somewhere else. I needed a storage place on very short notice and this worked out great for me. 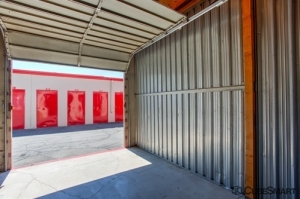 Between getting a moving truck from Penske, which is how I found Cube Smart, and getting the storage unit my move couldn't have went any smoother. Very friendly, good customer service.